Vivek Murthy was nominated for Surgeon General of the United States by President Obama in November of 2013. A bipartisan group of Senators approved his nomination in February 2014 and pushed it forward for a full vote. A (not so) funny thing happened on the way to the vote. In his confirmation hearing, Dr. Murthy was asked by Senator Lamar Alexander about his tweet that gun control is a public health issue. Senator Alexander noted that "Americans have a first amendment right to advocate the second amendment." Daily Show commentator Jon Stewart responded on his show "Yes, Americans have a first amendment right to advocate the second amendment. And apparently, you don't have a first amendment right to have a different opinion from that. Everyone knows the first amendment only applies to saying positive things about the second amendment." Vivek Murthy responded to Senator Alexander that he would not focus on gun control as surgeon general. He would focus on obesity. But it was too late - Murthy had touched the third rail of politics - gun control. Senator Rand Paul of Kentucky wrote a letter to majority leader Harry Reid saying he would put Dr. Murthy's nomination on hold. His office bragged that they had "put yet another hold on another qualified nominee." The critical question is this: Should a special-interest organization like the NRA have veto power over the appointment of the nation's top doctor? The very idea is unacceptable. Unacceptable though it is, the Senate backed off. Senators from red and purple states, worried about re-election, balked at confirmation. The vote was put on hold. Well now those Senators have lost. And this presents a brief window of opportunity to push through the vote on Dr. Vivek Murthy. Those senators that lost no longer have a political reason to oppose this nomination in their last month in office. This is a brief window, folks. Support from hundreds of public health organizations, including the Hospice and Palliative Nurses Association, American College of Physicians, Society of General Internal Medicine, American Academy of Family Physicians, the American Cancer Society, and the Gerontological Advance Practice Nurses Association. I know Dr. Murthy. We were in the same small primary care residency at the Brigham and Women's Hospital in Boston. Vivek was one year below me, in a class of four residents per year. We spent countless hours together in journal club, our patient-doctor course, and on the wards. Vivek Murthy is one of the most humble, brilliant, innovative, and caring physicians I have ever met. 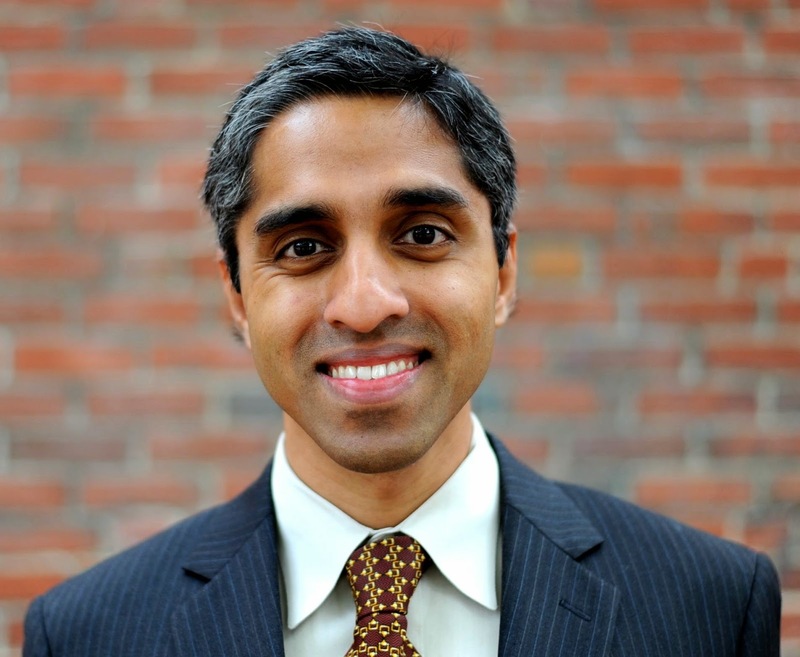 Vivek Murthy is a fresh face with new ideas for leadership in healthcare. And this is not really about Republicans and Democrats, either. Ask yourself this: at this time of healthcare crisis after crisis (think Ebola), can our nation afford to go without leadership from its top doctor, the Surgeon General? We need thinking at the top that is steady, informed, and sharp, not a leadership vacuum imposed by a single issue special interest group enraged by a tweet. Please take action. 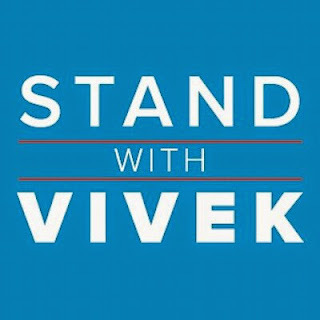 In just 2 minutes you can email or call your Senator to support Vivek Murthy's confirmation in the Senate. I did both in about 5 minutes. Then I asked my wife do it and it took her even less time. Ask your family and friends to do it. It's easy - just follow this link. You can tweet about the issue here. Dr. Vivek Murthy, President of Doctors for America, e-mails that physicians spend less time with patients (not always for reasons of their own choosing) and are less likely to have important discussions with patients and families about priorities or tradeoffs in care. It takes less time to consent to an intervention or to prescribe a medication than it does to persuade a patient that an intervention or procedure is unwise. Murthy notes that one cumulative effect of millions of missed conversations is to reinforce the intervention mindset among patients. So, alongside efforts to alter physician incentives, medical schools and health care settings must equip physicians with the knowledge, the interpersonal skills and other supports to conduct these important conversations well. Advocacy to train physicians with communication skills, and concern about millions of missed conversations and the "intervention mindset" - doesn't that sound like something GeriPal readers should support? This window of opportunity will soon pass. The current Senate breaks for the Holidays soon. After that, the new Senate with new leadership takes hold.